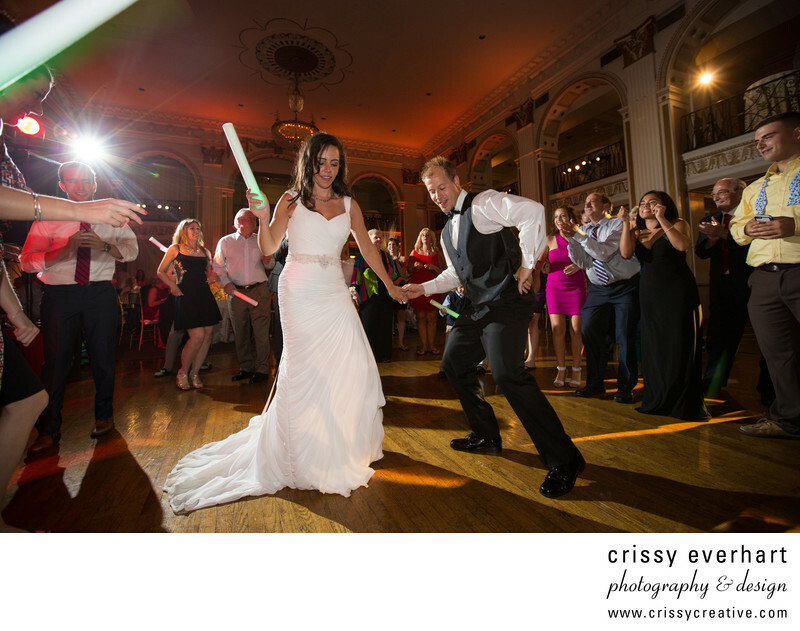 The newlyweds dance with light sticks at their July wedding at the Ballroom at the Ben. Kudos to the band, This is Masquerade, for rocking the entire night! Location: 834 Chestnut St # 210, Philadelphia, PA 19107.